Cognitive factors that affect eating behaviors, such as food reinforcement and disinhibition eating behavior trait. Executive committee member of the Canadian Obesity Network Students and New Professionals, University of Ottawa Chapter. 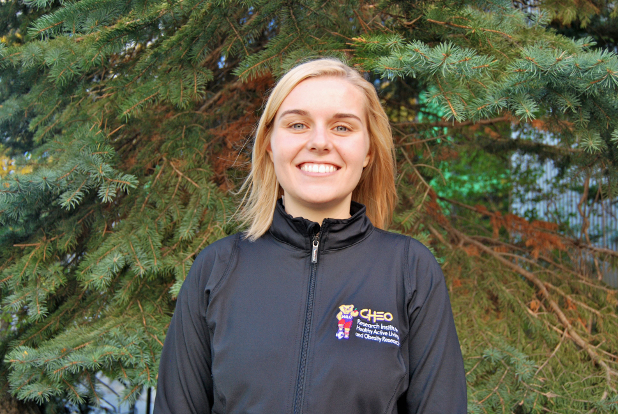 President of the Human Kinetics Graduate Student Association at the University of Ottawa. Invited Speaker for a “Sleep management workshop” organized by the Sandy Hill Community Centre. Invited Speaker for an Ottawa-Maringa academic meeting organized for health professionals and graduate students at the University of Maringa in Brazil – Presentation titled: “How sleep and exercise impacts energy balance and weight loss: An overview of current findings and research tools”. I grew up in Edmundston, New-Brunswick, but later moved to Ottawa and completed my B.Sc. and M.Sc. at the University of Ottawa in Human Kinetics. Outside of school, I enjoy biking, skiing, running and hiking. I am also an avid traveler, whether it be for school (Academic conferences have brought me to Vancouver and Edmonton in Canada, Liverpool in the United Kingdom, Orlando and Washington in the United States and Maringa in Brazil) or for fun (volunteering in Punakaiki, New Zealand and touring the rest of New Zealand thereafter).